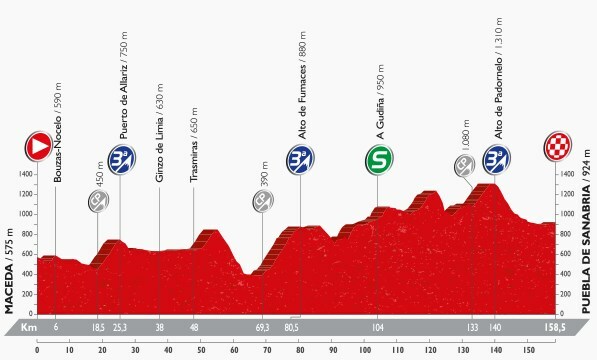 Little happened on stage six’s one categorised climb. The longer uncategorised climb that followed, however, saw Orica-BikeExchange push the pace. Most of the riders who pass for sprinters in this race were dropped and from then on, things were a lot more interesting. Moreno seemed to be moving away from the bunch at a decent lick, but Yates bore down on him in him no time in his increasingly familiar slow-pedalling, fast-moving style. He gets out of the saddle and slowly winches round a large gear, whistling through the air as a consequence. When he reached Moreno, he paused for breath (all that whistling) and then went again. This particular slow-fast sally took him up to Matthias Frank who had been in the break and was leading the race. Another pause and he went again. By the line, Yates had gained 20 seconds on everyone – no mean feat over 5km that wasn’t exactly steep. This puts him 10th overall. Behind him, all the other favourites finished together. A sprint stage to much the same extent that stage six was. There are climbs along the way, but the finish is an uphill sprint rather than an actual climb. Today’s stage term is ‘glacier’. You know what a glacier is. Glaciers were responsible for shaping much of the terrain in this area.